For the past 4 1/2 years the ART History Center Committee has been involved in a capital campaign to raise funds for the creation and construction of the Colorado Mountain Rescue History Center. This will be the first archival, museum and education facility dedicated to Mountain Rescue in the United States. This proposed new facility will serve as a center showcasing artifacts, equipment and documents collected from all of the Mountain Rescue Teams in Colorado. This History Center is strategically located along the I-70 corridor at the Evergreen Parkway exit just 15 minutes from the Denver metro area allowing easy access for all visitors. Being able to see and touch the history of the Colorado Mountain Rescue Teams through the reports, photos and equipment used on real missions in the past can help us see these events, many of which were life changing and life saving for thousands of people. In addition to the goal of preserving and displaying the history of mountain rescue, this facility will provide the opportunity to serve as a platform for creating new and exciting education programs that fulfills the objectives of all mountain rescue teams to teach individuals and groups safe mountaineering practices and safety in the mountains. For the past 70 years, the thousands of volunteers at the forty-plus Mountain Rescue Teams in Colorado have provided mountain search and rescue services to the citizens and visitors of Colorado. Some of the founders and early members of these organizations from the 1950’s and 1960’s are still involved with many of the Colorado Mountain Rescue Teams and this may be the last opportunity to collect and preserve the artifacts, documents and personal knowledge that these individuals have about the early history of mountain rescue in Colorado. This new expanded facility will house and protect these documents and artifacts collected from the volunteers around the state who have put blood, sweat, and tears into saving lives over the past 60 years. We don’t want to lose this history. This 3000 Sq. ft. facility will consist of a fireproof storage and archival facility in the lower level and then an upper level in which the historical equipment and artifacts will be displayed together with a research area. As of April 1, 2018 we have received pledges and/or donations of $474,000.00. These pledges and/or donations have come from the Alpine Rescue Team, the Gates Family Foundation, the Boettcher Foundation, the Anschutz Foundation, the El Pomar Foundation, the GR Foundation, the Colorado Trust, 1st Bank, the Colorado Search and Rescue Board, numerous Colorado SAR Teams and private individuals. 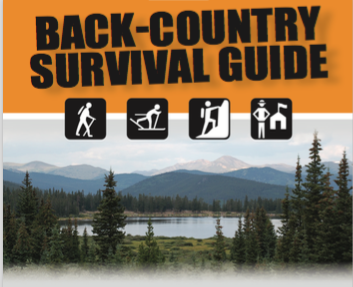 Showcase and preserve the history of Mountain Rescue in the State of Colorado for all to enjoy. Promote public education in the areas of mountain safety and preparedness. Promote more than a half-century of humanitarian service, one of people helping people in the mountains of Colorado. Take pride in the rescuers that have performed this service, free of charge to the residents and the visitors to the Great State of Colorado for the last 6o years. Do this NOW before the documents, artifacts, and memories are lost. Why should you support the Colorado Mountain Rescue History Center? If you or your organization would like to make a donation or pledge, we have 6 different funding levels for you to consider that are named after the highest peak in six of Colorado’s different mountain ranges.